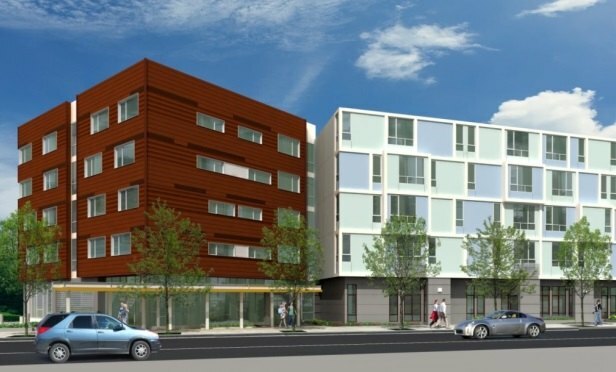 SAN FRANCISCO—EVIVA tops out with Suffolk using 3D modeling to identify design conflicts and make adjustments to the models rather than on the costlier project site. EVIVA Mission Bay is one of Integral’s branded projects currently underway. SAN FRANCISCO—Developed by The Integral Group and designed by LDA Architects, the 180,000 square-foot, five-story residential project, EVIVA Mission Bay, will consist of 129 apartment units with one, two or three bedrooms, and a ground-floor parking garage featuring 75 parking spaces. Suffolk Construction recently celebrated the topping out of the project located in Mission Bay. Construction is scheduled for completion in October 2016.